Plans are underway to develop a training manual from a Te Tiriti-based health promotion resource that has been well received by health promoters. Dr Heather Came who is one of the authors of Te Tiriti o Waitangi-based practice in Health Promotion says the manual is currently in development with another of the booklet’s authors, Dr Nicole Coupe leading the work. “We need to regroup and talk about it but the intention is that we are keen to find folk willing to extend the reach of the resource,” says Dr Came, who has worked for nearly 25 years in health promotion, public and Māori health and has had a long involvement in social justice activism. Aimed at the health promotion workforce, the free resource which is published by STIR (Stop Institutional Racism) was launched in Auckland on January 28 this year and is available online and in print. It builds on the legacy of Dr Irihapeti Ramsden and cultural safety in nursing. Dr Came, who is a senior lecturer based in the Taupua Waiora Māori Health Research Centre at Auckland University of Technology says they have had feedback that the resource is useful and academics have been using it as a teaching tool. “We had been thinking about producing something to end institutional racism in the public sector and one of the ways was to honour Te Tiriti o Wāitangi … if you’re following the treaty than you’re not practising racism,” she said. Dr Came says however that the debate over te Tiriti continues to evolve as evidenced by the Waitangi Tribunal’s finding in 2014 that Ngapuhi did not cede their sovereignty when they signed te Tiriti in 1840. “So the intention was to add to and strengthen the resource every five years as things continue to evolve,” she explains. Although the resource is written for practitioners, teachers and those working in the health promotion field Dr Came believes it would be of interest to people outside the sector, as well as a Tau Iwi audience. Well-known and respected Māori activist and lawyer from Ngati Kahungunu and Ngati Porou specialising in Treaty and constitutional issues, Moana Jackson says in the booklet’s foreword it is appropriate that the resource is dedicated to Dr Irihapeti Ramsden. “As a nurse and deep-thinking philosopher she was committed to finding practical ways to give effect to Te Tiriti o Waitangi; especially in health,” says Mr Jackson. Mr Jackson said the resource built upon that recognition and in a carefully considered and practical way offers guidance for all who work in the health sector to manage and develop their Treaty-based practice in ways that recognise the power relationships it enshrines. He acknowledged that the resource was timely as it reflected the evolving understanding of te Tiriti that has occurred since the 1970s. STIR is a group of senior public health practitioners and activist researchers who aim to end racism in the public health sector. Sione Tui’tahi, Executive Director of The Health Promotion Forum of New Zealand (HPF), one of the supporters of the resource, said “we are proud to be party to the development of this resource because te Tiriti and the Ottawa Charter are the two documents upon which health promotion is based in New Zealand”. Deputy Executive Director of HPF, Trevor Simpson, whose interests are in raising the profile of Māori issues particularly in the areas of health and matters of social importance, is one of the authors of the resource. The other authors are: Grant Berghan, Claire Doole, Dr Jonathan Fay and Dr Tim McCreanor. The resource which is inspired by activist scholarship and explores the ways in which senior health promoters work with the articles of te Tiriti and its aspirations starts by outlining the importance of te Tiriti to health promotion practice in Aotearoa. It then sets out the research method on which this resource is based, and from which deeper engagement is advocated with te Tiriti-based practice, anti-racism and decolonisation. “We locate te Tiriti as a sequel to Her Wakaputanga o Nu Tireni (the Declaration of Independence). We next orient readers to each of the articles of the Maori text of te Tiriti as it relates to health promotion in Aotearoa … Under each article of te Tiriti we introduce relevant research, information from this study and insights from the authors’ experiences related to te Tiriti. The final section draws out the core elements of Tiriti-based practice,” write the authors. Health Promotion Forum is proud to announce the launch of two short information videos to inform health promotion practice. The first – What is health promotion? – provides an Aotearoa New Zealand perspective on health promotion; its scope, potential and the focus of its work. The second – Health promotion competencies – explain the scope and potential uses for the competencies. HPF’s Senior Health Promotion Strategist Karen Hicks was the mastermind behind the creation of these videos. “This could be the start of greater understanding of the crucial work done by health promoters in Aotearoa New Zealand,” she said. The purpose behind the videos was to make it easier for health promoters around the country to understand the scope and potential of their role – as well as to have a way of explaining it to other. “I encourage all my wonderful colleagues out there to share these videos with their friends, family, colleagues and managers,” said Karen. HPF Deputy Executive Director, Trevor Simpson has co-authored the paper, which finds that there is variable application of Te Tiriti o Waitangi and there is room for further development in many areas of the New Zealand public health service. It points to Treaty Understanding of Hauora in Aotearoa-New Zealand (TUHA-NZ) as “landmark document” and an essential tool to operationalise the policies outlined in Te Tiriti. The paper Realising the rhetoric: Refreshing public health providers’ efforts to honour Te Tiriti o Waitangi in Aotearoa, New Zealand investigates the ways public health units and non-governmental organisations meet their Te Tiriti o Waitangi obligations in terms of service delivery to Māori. Drawing on data from a nationwide survey of public health providers the article argues New Zealand public health providers can strengthen efforts to advance tino rangatiratanga (Māori control over things Māori) in every day practice. Trevor worked alongside Heather Came (Senior Lecture, Auckland University of Technology), Tim McCreanor (Associate Professor Massey University) and Claire Doole, (Senior Lecturer, Auckland University of Technology), to bring this important paper to fruition. The work was supported with a grant from the Faculty of Health and Environmental Sciences, Auckland University of Technology. Mt Wellington (Auckland) based PHO Alliance Health Plus Trust (AH+) announced in July the establishment of the Alliance Community Initiatives Trust (ACIT). This is a standalone charitable trust aiming to address the social determinants of health ‘one social determinant of wellbeing at a time for one person at a time in one NZ community at a time.’ It will focus initially on Mangere in South Auckland. Figure 1. 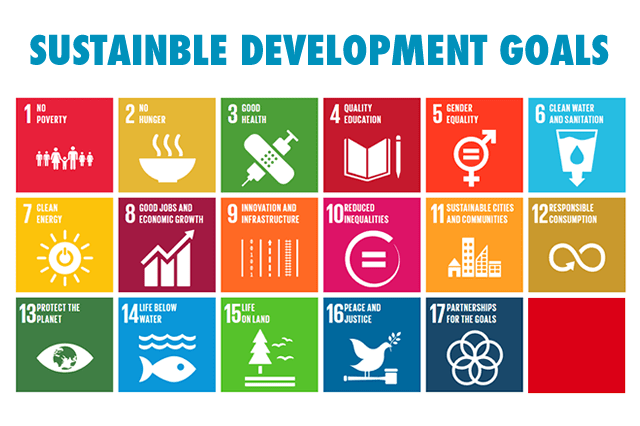 Sustainable Development Goals. An example of a collaborative initiative that illustrates health promotion as defined in the Ottawa Charter is the International Network of Health Promoting Hospitals & Health Services (HPH). The initiative collaborates to reorient health care towards an active promotion of health, aiming to improve for patients, staff, and communities. Further detail on the approach can be accessed on the HPH website (http://www.hphnet.org). The principles and actions illustrated alongside the interdisciplinary approach of health promotion that empowers people and communities (Health Promotion Forum of New Zealand, 2014) and focuses on equity and the broader determinants of health (Davies 2013) is acknowledged by the World Health Organisation, “Health promotion programmes based on principles of engagement and empowerment offer real benefits. These include: creating better conditions for health, improving health literacy, supporting independent living and making the healthier choice the easier choice” (WHO 2013 p 16). The value associated to the approach clarifies how health promotion can effectively contribute to achieving the seventeen SDGs where the SDGs can guide the delivery of effective health promotion to improve health, wellbeing and personal development throughout the global community. Health Promotion Forum of New Zealand. 2014.http://www.hauora.co.nz/defining-health-promotion.html#sthash.5sStc8VF.dpuf. We asked three health promotion professionals three questions for the spring/summer 2015 issue of Hauora, focusing on health promotion in Aotearoa New Zealand and the Health Promotion Forum. What do you see as some of the major issues regarding health promotion in Aotearoa New Zealand and the world today? Zoe Aroha Martin-Hawke identifies two interconnected issues facing health promotion in Aotearoa; the wide-ranging use and understanding of the term ‘health promotion’ and a decrease in the use of the term in workplace titles. “The use and understanding of the term ‘health promotion’ is wide-ranging, with some perceptions overlapping and others quite separate. The challenge is to find a balance between autonomy of each perspective and enabling collaborative working in the areas that intersect. The emergence of competitive funding contracts, with a set health promotion agenda, makes this particularly difficult. Much of Wiki Shepherd Sinclair’s 11 year career in health has focused on Health Promotion. She believes that the challenges facing the Health Promotion space in Aotearoa New Zealand – and the world – today include lack of collaboration and communication, poor cultural awareness, lack of community engagement and an experienced, but unqualified workforce. According to Dr Mihi Ratima – and as outlined in the recent book she edited with Associate Professor Louise Signal (Promoting Health in Aotearoa New Zealand) – major issues facing health promotion include the challenge of neoliberalism, the positioning of health promotion on the periphery, and the difficulty in maintaining the health equity focus. As noted in the book, the health of the planet – and all of us who live on it – is under dire threat from factors such as climate change, obesity and new infectious disease. Progressive health promotion is an approach that can counterbalance threats to health with practice, policy and advocacy for health, well-being and equity. “There is an urgent need for further government investment in this approach”, she says. What do you see as the role of the Health Promotion Forum in population health today? To keep the sector up to date on health promotion internationally and nationally. To keep information flowing into the NZ context to secure a strong health promotion lens and voice to keep us connected and focused on the areas we need to collaborate on. Progressing indigenous perspectives on health, health equity and everyone’s right to health are key messages and activities that the health promotion forum are leading and can continue to lead in the quest for equitable population health. Health promotion leadership is needed and the health promotion forum can build that leadership through its membership. According to Mihi Ratima “Health promotion is an established approach to addressing public health problems in New Zealand. A key role of the Health Promotion Forum is in supporting the workforce and organisations to develop shared understandings of effective health promotion approaches. This leads to greater health equity and improved outcomes for individuals, whanau and communities: what works and how to apply health promotion through policy, practice and advocacy”. Mihi also believes the Health Promotion Forum has a role to play in supporting the development and growth of the body of theory and evidence for effective health promotion. What would you say to an organisation considering membership of the health promotion forum? “As a member of the Health Promotion Forum you can trust that their statements around “prioritising activities that will benefit people communities who are least disadvantage” are not just words. They take a systems approach to tackling these issues by starting with their own organisation – where it should start. Wiki Shepherd-Sinclair encourages organisations to consider membership of HPF as the health promotion leader in Aotearoa New Zealand. “The connections with regional and international leaders are a real plus for organisations that also want to grow their networks and strengthen relationships. The sharing of health promotion expertise and best practice, to increase better outcomes for our communities and populations, is of huge importance,” she says. Promoting Health in Aotearoa New Zealand was conceptualised as a text that equally integrates Māori and Pākehā analysis; consistent with an approach that emphasises the Treaty of Waitangi partnership and indigenous rights. The editors have endeavoured to achieve this through collaboration between Māori and Pākehā editors, advisors and contributors. Contributors to the book include: Professor Sir Mason Durie, Professor John Raeburn, Associate Professor Papaarangi Reid, HPF’s Executive Director Sione Tu’itahi, Associate Professor Cindy Kiro, and HPF’s previous Executive Director Dr Alison Blaiklock. There is very little text available that looks at health promotion in New Zealand – particularly as it relates to Māori. In fact Promoting Health in Aotearoa New Zealand is rare internationally for its strong focus on indigenous health. Frequently we refer to overseas texts when teaching and supporting public health practice. Often these are not relevant to Māori, other New Zealanders or the New Zealand context. This has been of concern to health promotion academics and practitioners for some years. “This book has been written to address that gap,” says Mihi. It explores ways in which Māori, and other, perspectives have been melded with Western ideas to produce distinctly New Zealand approaches. In doing so it addresses the need for locally written material for use in teaching and practice, and provides direction for all those wanting to solve complex public health problems. The book highlights the “dire threat” to the health of the planet – and all of us who live on it – from factors such as climate change, obesity and new infectious diseases. It concludes that progressive health promotion is an approach that can counterbalance threats to health with practice, policy and advocacy for health, well-being and equity. HPF’s Executive Director Sione Tu’itahi was invited to speak a the book launch. He was also a contributor to the book. “…The process by which the book was produced, both in contents and presentation, reflects a successful partnership that resonates with the letter and spirit of our nation’s founding document, Te Tiriti o Waitangi; an example worth emulating. It also places Matauranga Maori (Maori knowledge) prominently, while it weaves together the knowledge of the West, the knowledge of the East, and Indigenous knowledge systems as a set of effective solutions for addressing our health challenges. Although the primary focus is on Aotearoa, the book brings in the experience and knowledge of Moana Nui a Kiwa and other regions, thus making the book a very valuable contribution to our collective effort at the global level to address planetary health. A paper published this year in Social Science & Medicine Journal has concluded that income inequality does indeed have a negative effect on population health and wellbeing; and that narrowing this gap will improve it. The paper suggests ways in which governments need to act to address this growing problem. The paper’s authors cite world leaders, including the US President, the UK Prime Minister, the Pope and leaders at the International Monetary Fund, the United Nations, World Bank and the World Economic Forum; all of whom have described income inequality as one of the most important problems of our time. Several of these leaders have also emphasised its social costs. “Inequality is increasing in most regions of the world, rapidly in most rich countries over the past three decades,” they say. The paper, by Professors Kate Pickett and Richard Wilkinson (pictured above), was drawn from a ‘very large’ literature review, including those papers that have previously thrown doubt over the causal link between income inequality and population health. The outcome was a strong body of evidence to support the link, while those few papers that drew different conclusions were found to have been based on studies using inappropriate measures. Effective co-ordination of primary care beyond treatment and prevention services to include comprehensive disease prevention and health promotion is central to the success of the Primary Health Care Strategy. To achieve effective health promotion in a PHO, public health and primary care practitioners will need to work together. The interdisciplinary nature of health promotion places it at the cutting edge of health and wellbeing: offering creative and effective ways to promote wellbeing and protect groups, communities and populations from health challenges. It shares a common ground with several disciplines that focus on human and ecological wellbeing. One such discipline is social development. Although based in different sectors, the fields of social development and health promotion share some common underlying principles. This common ground provides a strong framework for closer collaboration between the different disciplines; yielding benefits, effectiveness and efficiency for all concerned. Similar strategies, such as community development, whānau and family capacity building, for addressing the needs of peoples and communities. The Whānau Ora approach is a strong example of an initiative that acknowledges the shared principles; operating across the health, social development, education and justice sectors. It is health promotion at the whānau level. While the terminology of Whānau Ora is of Māori origin, the philosophy and practice can be found in many Pacific cultures. In many cases, the terms used are also linguistically related: Fanau Ola, for example, is a term used in Tongan and Samoan cultures to express the collective wellbeing of the extended family. Like its Māori equivalent, Fanau Ola in Pacific cultures refers to extended families and communities leading their own holistic development and being in control of their wellbeing and future. As more and more Māori and Pacific providers take up a Whānau Ora and Fanau Ola approach in working with communities, they realise that whānau and families are empowered not only because the approach resonates with their Indigenous worldviews, values and practices, but also whānau and families are taking control of their future and leading themselves, rather than relying on others and providers. Our challenge now is to build on the interdisciplinary model of health promotion. Watch the 2 minute 30 second video, including contributions from IUHPE president Michael Sparks and HPF Deputy Executive Director Trevor Simpson. Read this warm, humble and in-depth interview with Emeritus Prof John Raeburn, whose 40+ years in health promotion have helped shape the profession. Video: What if?…. health promotion campaigns actually worked? The World Health Organisation (WHO) asserts that factors such as where we live, our environment, genetics, education and relationships have a greater influence on our health and wellbeing than the commonly considered factors such as access to health care services [vi]. Although the causal pathway between the two is long, evidence to support this correlation is growing. Health promotion includes work to build that evidence and identify ways to build population health by improving the determinants. In his 2013 paper, Prof. John Kenneth Davies concludes health promotion has a unique and specialised role within a wider multidisciplinary approach to maintaining and improving health. “States and others have legally binding obligations to engage in health promotion,” says Paul Hunt at the 20th Conference of the International Union of Health Promotion and Education. Health promotion is part of the government’s role in upholding a person’s right to the hightest attainable standard of health. Also see HPF’s The Right to Health – Proceedings of the Health and Human Rights Workshops, 2012. Richard Egan explores the place of spirituality in health promotion in the 34th of HPF’s Keeping Up to Date peer-reviewed papers. “In New Zealand, partly due to the contributions and aspirations of Māori, spiritual concerns are understood as an essential component of health.” Egan’s paper argues that, due to growing evidence and a principled approach, attending to spirituality in health promotion is an ethical imperative, critical to our reflective practice and necessary for comprehensive planning, action and evaluation. Richard is a Research and Teaching Fellow at the Cancer Society Social and Behavioural Research Unit, Te Hunga Rangahau Arae Mate Pukupuku, Department of Preventive and Social Medicine, University of Otago, Dunedin. UNITEC has this year launched a new Bachelor of Health and Social Development with a major in health promotion. Offered at its Waitakere campus, the course will begin in February or July, and can be full-time (for three years) or part-time. Offering a pathway into a wide variety of health and social development roles, the curriculum identifies ways in which to empower communities to take control of their own wellbeing. Students develop an understanding of the strategic organisation of health promotion and the use of evidence based research. Lian Wu – who previously worked at the University of Auckland Medical and Health Sciences School – will be the Major Leader for the course. The Health Promotion Forum of New Zealand (HPF) offers a range of training courses, including the Certificate of Achievement in Introducing Health Promotion. In March 2013 an online survey was emailed to the Health Promotion Forum’s database, networks and reference groups to gain baseline data on the current knowledge of and implementation of the Nga Kaiakatanga Hauora mo Aotearoa Health Promotion Competencies for Aotearoa New Zealand 2012 amongst the health promotion workforce. 105 responses were collated from a variety of organisations and individuals. The collated responses will inform the development of work to support the implementation of the competencies amongst the workforce. Easy to read, colourful survey report can be found here. A new paper, published today, makes a further contribution to the development of Pacific leadership in health, education and other sectors. Matapoto pea Lotopoto – Exploring intelligence and wisdom from a Tongan perspective for enhancing Pacific leadership in health, education and other sector – is by HPF’s Executive Director, Sione Tu’itahi. It is published as part of the HPF’s Occasional Papers series. Visit our Pacific health promotion pages. The purpose of this paper is to provide a definition of Māori health promotion and to discuss Māori health promotion strategic issues to inform practice. Māori health promotion is the process of enabling Māori to increase control over the determinants of health and strengthen their identity as Māori, and thereby improve their health and position in society (Ratima 2001). While this brief definition gives an indication of what Māori health promotion is about, by itself it does not convey completely the meaning and uniqueness of Māori health promotion. To more fully understand Māori health promotion, it is useful to refer to two models for Māori health promotion – Te Pae Mahutonga (Durie 2000) and Kia Uruuru Mai a Hauora (Ratima 2001). Together, these models describe both the breadth of Māori health promotion and its defining characteristics. The characteristics include the underlying concept of health, purpose, values, principles, pre-requisites, processes, strategies, key tasks, and markers.